The first step in Jewel v. NSA is for the court to decide whether to adopt or reject the government’s invocation of the controversial 'state secrets' privilege—a legal tool that started as a limited shield intended to protect legitimate and critical government national security secrets, but which the government has attempted to turn into a sword to block Americans seeking to enforce the law and the Constitution. Essentially, by invoking the state secrets privilege in this way, the government argues that even if all of the allegations of serious law-breaking and Constitutional violations are true, surveillance of millions of ordinary Americans is exempt from judicial review. 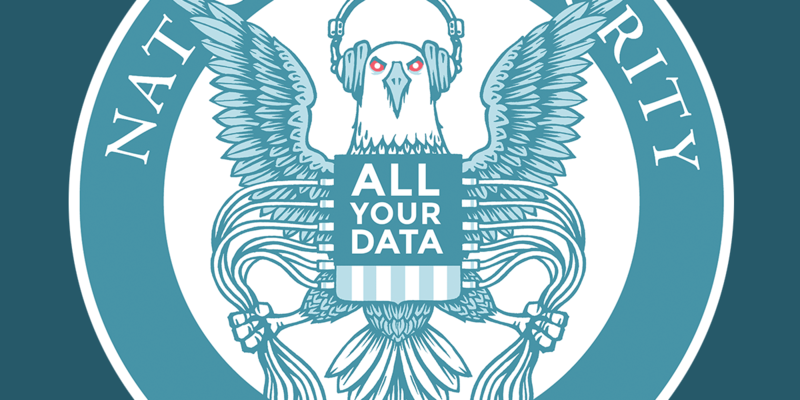 In response to the government’s assertion, and as it has since the first wiretapping cases started in 2006, EFF argues that in creating the Foreign Intelligence Surveillance Act, Congress preempted the state secrets privilege, creating a separate but still very secure way for the case to be decided. The FISA law not only prevents the immediate dismissal of the case, it affirmatively instructs courts to determine whether electronic surveillance is legal. In July 2013, the court rejected the government’s “state secrets” argument, ruling that any properly classified details can be litigated under the procedures of the Foreign Intelligence Surveillance Act (FISA). It is unclear whether the government will appeal. The Supreme Court recognized the ‘state secrets’ privilege in the 1953 case United States v. Reynolds. The 1953 privilege was much more limited than how the government interprets it today. Critically, the privilege could not exempt underlying facts from judicial review if plaintiffs had the same evidence from another source. But since 9/11, first the Bush and then the Obama Administration have aggressively used the ‘state secrets’ privilege, insisting that entire cases could be exempt from judicial review at the outset if they touch on national security. They seek to use the narrow, evidentiary scalpel like a chainsaw, to deny justice for millions of ordinary Americans for rampant violations of their rights. The Administrations have even argued that cases must be dismissed entirely even when all the underlying facts are already public, if the judge's conclusion about these facts would confirm the allegations. A notable series of cases during the Bush years were brought by the ACLU and involved serious and disturbing allegations of torture, supported by hundreds of pages of public evidence. According to the government, it did not matter if the information the they considered “secret” had already appeared on the front page of the New York Times and the Washington Post, or been officially investigated and admitted to by official European government commissions. The government argued that they not only had complete control of their own documents, but the facts underlying them. In Jewel v. NSA, EFF also has thousands of pages of already-public evidence—including an AT&T whistleblower, three NSA whistleblowers, Congressional testimony, Inspector General reports and investigations from virtually every major news agency. We are asking the court to allow the case to go forward and hear the evidence. But unlike the other post-9/11 state secrets cases, in Jewel we have an additional tool: FISA, the law that governs national electronic surveillance cases expressly supersedes the state secrets privilege. Whenever any motion or request is made by an aggrieved person...the United States District Court shall,...notwithstanding any other law...review in camera and ex party the applications, order and such other materials relating to the surveillance as may be necessary to determine whether the surveillance of the aggrieved person was lawfully authorized and conducted. The statute not only requires the court let the case go forward on our public evidence, it also provides strong tools for the government to protect any sensitive evidence that the government needs to use to make its case but which cannot be made public, while still allowing a judicial determination. The ultimate lesson here is that secrecy is not an immunity trump card and no government agency should be above the law. There is no better example of this than the original state secrets case, US v. Reynolds. The government, at the time, claimed the evidence it was withholding would reveal critical national security secrets and the Court agreed. But in 2000, when the documents at issue were finally declassified, they contained no secrets at all. The only thing the documents contained was evidence of government negligence—which would have validated the plaintiff’s case.